The Hidden Church can only be reached by climbing a ridge of soft crumbling rock above a steep drop, into a cave carved into the cliffside. 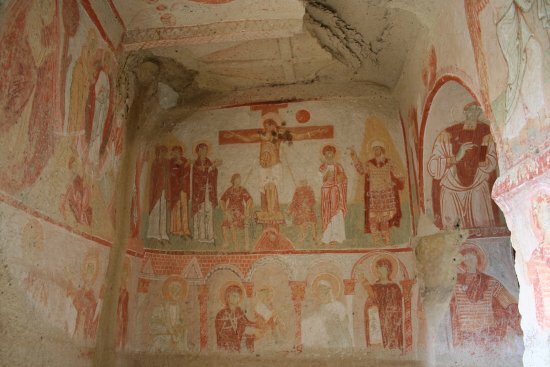 It has therefore had little damage done to the murals. 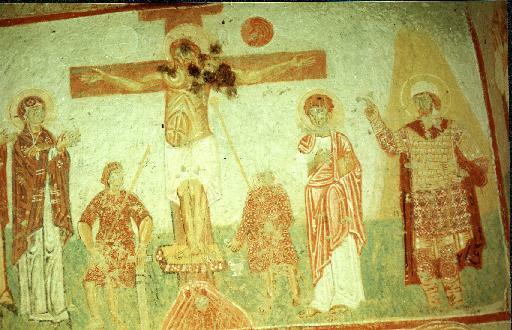 One of these is a crucifixion scene with two soldiers and a centurion. 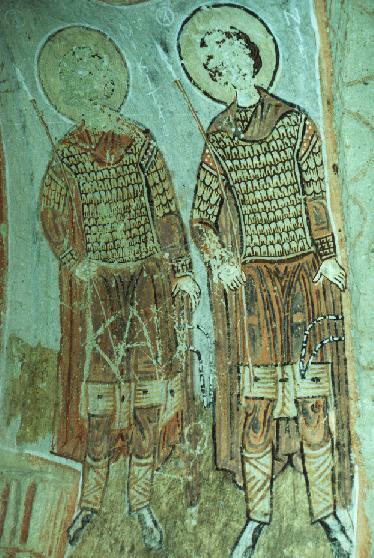 Two military saints - Both are wearing lamellar klibania with armoured sleeves, and both are armed with spear and sword. 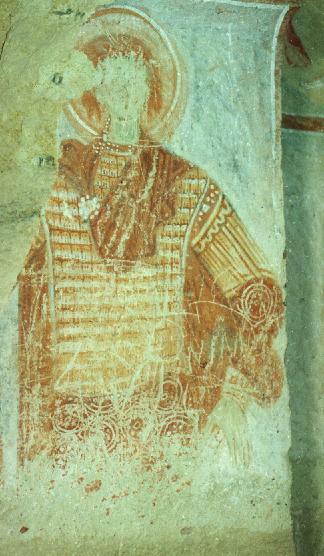 A further armoured figure can also be seen in the church; unfortunately the lower part of the painting has been destroyed. He is obviously a military saint - there is an inscription showing his name, but I have not been able to read it.